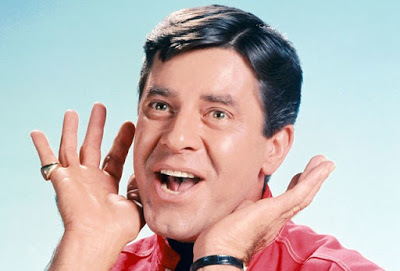 TCM is airing a Labor-Day tribute to comedian, actor and director Jerry Lewis. TCM is airing a Labor-Day tribute to Jerry Lewis that includes some of his best films as an actor, director and with Dean Martin. Lewis passed away on Aug. 20, at age 91. There's also a great daytime lineup of movies directed by George Stevens and an evening of films from star of the month Jennifer Jones. I'll go in-depth a little further down in the article, but first here's a quick rundown of what else is on the schedule. 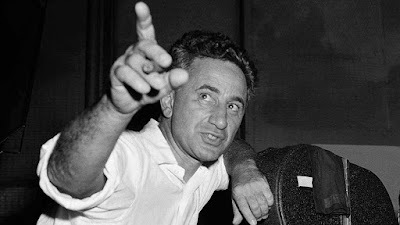 Birthday tributes: Director Elia Kazan on Thursday. Noir Alley: Telephone repairman Edmond O'Brien gets mixed up with an illegal gambling syndicated in 711 Ocean Drive (1950) at 10 a.m. Sunday. This film features an exciting final chase scene filmed at Hoover Dam. TCM Essentials: Director Peter Yates' police movie Bullitt (1968) at 8 p.m. Saturday is known for its groundbreaking car chase sequences. Silent Sunday Nights: Douglas Fairbanks plays Alexandre Dumas' swashbuckling hero D'Artagnan in The Three Musketeers (1921) at 12:15 a.m.
TCM Imports: Two films from Indian director Satyajit Ray that star Soumitra Chatterjee and Madhabi Mukherjee. First up is Charulata (1965) at 2:30 a.m. Sunday night/Monday morning about a romantic relationship that develops between a bored 19th century housewife (Mukherjee) and her husband's artistic cousin (Chatterjee). The Coward (1965) at 4:45 a.m. is about a screenwriter (Chatterjee) who unexpectedly reunites with a lost love (Mukherjee). Best Day to DVR: Monday daytime: TCM is celebrating the career of the great director George Stevens with a lineup of some of his best films. First up is the drama/comedy Alice Adams (1935) at 6 a.m., which gently mocks the social-climbing ambitions of small-town girl Katharine Hepburn followed by Barbara Stanwyck as the sharp-shooting heroine in the fast-moving biopic Annie Oakley (1935) at 7:45 a.m. The rest of the lineup features Cary Grant (his best dramatic performance, IMO) and Irene Dunne in the marital drama Penny Serenade (1941) at 9:30 a.m.; Hepburn's first film with Spencer Tracy, Woman of the Year (1942) at 11:45 a.m.; the nostalgic I Remember Mama (1948) at 2 p.m., and the epic Western Giant (1956) at 4:30 p.m., which won Stevens a much-deserved best director Academy Award. Jerry Lewis directing Stella Stevens in a scene from The Nutty Professor (1963). Three daytime picks: See "Best Day to DVR" section. Prime time lineup: TCM is airing a tribute to Jerry Lewis starting with the Dr. Jekyll and Mr. Hyde spoof The Nutty Professor (1963) at 8 p.m., in which the actor/director plays both nerdy professor Julius Kelp and his ladies' man doppelganger Buddy Love. Director Martin Scorsese's satire The King of Comedy (1983) at 10 p.m. stars Lewis as an arrogant Buddy Love-like talk show host who is kidnapped by a deranged comic (Robert De Niro). Late night pick: The Stooge (1952) at midnight was Lewis' favorite of his films with onscreen partner Dean Martin while Lewis' directorial debut The Bellboy (1960) at 2 a.m. is a funny homage to silent film, especially the work of Stan Laurel, who has a cameo in the movie. The Disorderly Orderly (1964) at 3:30 a.m. is a fun film directed by frequent Lewis collaborator Frank Tashlin about a hospital employee who takes on the symptoms of his patients. Three daytime picks: The daytime theme is "how to" movies. The morning lineup starts out with several comedy shorts like How to Train a Dog (1936) at 6:15 a.m. and How to Watch Football (1938) at 7 a.m. and the John Ford-directed World War II training film How to Operate Behind Enemy Lines (1943) at 7:30 a.m. Later in the day you can learn How the West Was Won (1962) at 10:30 a.m. and How to Succeed in Business Without Really Trying (1967) at 3:45 p.m.
Prime time lineup: TCM will air movies from leading lady Jennifer Jones every Tuesday in September. 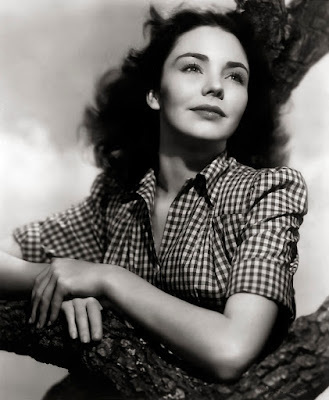 This week's lineup kicks off with her Oscar-winning performance as a young French girl who has visions of the Virgin Mary in The Song of Bernadette (1943) at 8 p.m.
Late night pick: The late-night lineup features three films Jones made with frequent costar Joseph Cotten: the romance Love Letters (1945) at 11 p.m.; the Western Duel in the Sun (1947) at 3 a.m. and the homefront drama Since You Went Away (1944) at 5:30 a.m. Also in the lineup is the Ernst Lubitsch-directed charmer Cluny Brown (1946) at 1 a.m., which shows off Jones rarely used comic skills as a free-spirited English girl with a fascination for plumbing. Mary Pickford in Little Annie Rooney (1925). Three Daytime Picks: The theme is movies from female directors starting with the Joan Crawford soaper The Bride Wore Red (1937) at 8:30 a.m. This film was helmed by Dorothy Arzner, who was one of the few female directors working in the old Hollywood studio system during the 1930s. The middle of the day features pioneering works from silent director Lois Weber like the melodrama The Blot (1921) at 1:45 p.m. The great Ida Lupino directed the sensational noir The Hitch-Hiker (1953) at 4:45 p.m.
Prime time:Tonight's lineup is devoted to movies featuring actors and crew members who now reside in the Motion Picture & Television Country House and Hospital in Los Angeles. 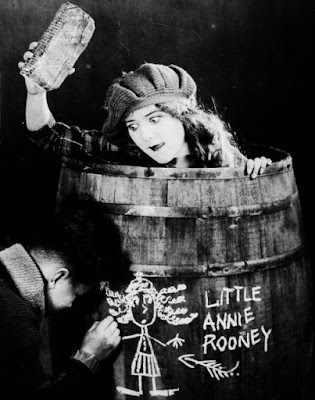 First up is the Mary Pickford silent Little Annie Rooney (1925) at 8 p.m., which was restored with MPTF funds. Next is a documentary about the Motion Picture House, Showfolk (2014) at 10 p.m. 105-year-old MPH resident Connie Sawyer will introduce the Frank Sinatra comedy A Hole in the Head (1959) at 10:45 p.m. Sawyer had a small part in this film as an intoxicated hotel guest. Late night pick: MPH resident Burt Bluestein will introduce the Barbra Streisand musical On a Clear Day You Can See Forever (1970) at 1 a.m. He worked as an assistant director on the film. Three daytime picks: A birthday tribute to director Elia Kazan, who was born Sept. 7, 1909 in Istanbul. Kazan's family emigrated to the U.S. when he was 4 years old (much of his film America America (1963) at 12:30 p.m. is based on those experiences). Kazan made his mark in the New York theater world as both an actor and director, but he also began a career as a Hollywood director in the late 1940s with films like the Katharine Hepburn-Spencer Tracy Western The Sea of Grass (1947) at 10:15 a.m. Kazan's directed both the Broadway and film versions of Tennessee Williams' landmark play A Streetcar Named Desire (1951) at 5:45 p.m. and he continued to push the envelope with films like the overheated Southern melodrama Baby Doll (1956) at 6 a,m. and the tale of teenage repression Splendor in the Grass (1961) at 8 a.m. Perhaps Kazan's most relevant film is the satire A Face in the Crowd (1957) at 3:30 p.m., which is a prescient look at the power of television. Prime time lineup: Tonight's lineup features the premieres of four films from German director Werner Herzog. First up is Fitzcarraldo (1982) at 8 p.m. about an eccentric Irishman played by Herzog regular Klaus Kinski who tries to build an opera house in the middle of the Amazonian jungle. Stroszek (1977) at 10 p.m. follows the misadventures of a Berlin misfit (Bruno Stroszek) who emigrates to rural Wisconsin. Late night pick: Herzog's masterpiece is the Conquistador tale Aguirre, the Wrath of God (1972) at 1 a.m.
Loretta Young and Jamex Cagney in Taxi! (1932). Three daytime picks: A What a Character tribute to Billy Gilbert. This chubby comedian is best known today for his role as a flustered messenger in the classic screwball comedy His Girl Friday (not airing), but he appeared in around 200 films including the caper movie Music for Madame (1937) at 9:30 a.m., the Westerns The Outcasts of Poker Flat (1937) at 12:15 p.m., and Valley of the Sun (1942) at 6:15 p.m.
Prime time lineup: The theme is movies about cabbies starting with a feisty James Cagney fighting off a criminal syndicate and romancing Loretta Young (he also wins a memorable dance contest opposite fellow gangster star George Raft) in the pre-code charmer Taxi! (1932) at 8 p.m. Next, Bronx cab driver Ernest Borgnine tries to give daughter Debbie Reynolds a glitzy wedding in The Catered Affair (1956) at 9:30 p.m.
Late night: The British comedy Carry On Cabby finds driver Sid James facing off against his wife's rival taxi company. The Essentials series continues at 8 p.m. with new host Alec Baldwin. He will be joined by director William Friedkin to discuss the police procedural Bullitt (1968) at 8 p.m. followed by two more films directed by Peter Yates: The Barbra Streisand comedy For Pete's Sake (1974) at 10 p.m., and the backstager The Dresser (1983) at 11:45 p.m.
TCM's prime time lineup is all about movies starring Linda Darnell starting with she and Tyrone Power in the sound remake of the Rudolph Valentino silent Blood and Sand (1941) at 8 p.m. Next, Darnell is kidnapped by Robert Newton in Blackbeard, the Pirate (1952) at 10:15 p.m.